The latest release of Aion Web3, version 1.1.0, is now available! For users who are still on Aion Web3 v0.0.3, this is a good opportunity to migrate to v1.1.0. Although this is an interface-breaking upgrade, v1.1.0 introduced a more explicit API and support for client-side account management and offline transaction signing. For Dapp developers coming from Ethereum’s web3.js, the v1.1.0 API will be familiar, as it is based on Ethereum web3.js v1.0.0. 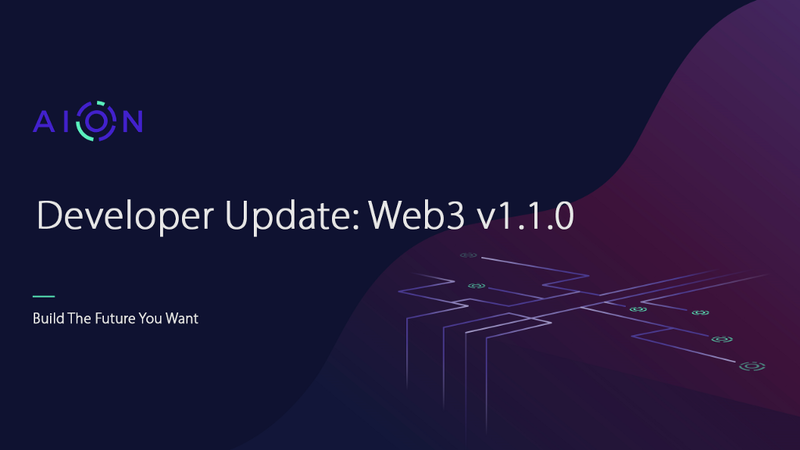 Developer Update: Web3 1.1.0 was originally published in Aion | Blog on Medium, where people are continuing the conversation by highlighting and responding to this story. Previous story AIWA Beta Release — a browser-based wallet for AION Coins.